[toc] Keeping your weight under control has become extremely difficult, especially in today’s world. Almost one in three children and around 2/3 of all American adults are said to be overweight or obese nowadays. Some of the blame is given to the processed food corporations that are spending around billions of dollars for the promotion of unhealthy foods by saying that they are actually ‘healthy choices’. Numerous serious chronic conditions and diseases can be caused be obesity and this includes infertility, Type 2 diabetes, Deep Vein Thrombosis (DVT), hypertension, osteoarthritis, sleep apnea, gout, varicose veins and gallstones. 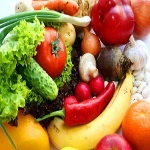 It is recommended that around five servings of fruits and vegetables should be taken on a regular basis. Vegetable juice, half a cup of cooked vegetables or one cup of raw vegetables make up a serving of vegetables. One-fourth cup of dried fruit, one half cup of fruit juice or fresh or canned fruit and one piece of a medium or small fresh fruit is said to be one fruit serving. Whole wheat bread, brown rice and other similar whole grain foods should be chosen. Saturated fat, flour and refined white sugar are used for making highly processed foods, which should be avoided. Understanding portion sizes are used for weighing and measuring foods. For instance, a deck of cards is equal to a three-ounce meat serving. Super-sized items like that at fast food restaurants should be avoided. Proper serving sizes benefit a lot. The food checkbook should be balanced. Weight gain occurs if people eat more than they burn. Skipping rope and skipping breakfast is similar as it has no point. People cut breakfast thinking they’ll lose calories, but that’s not the case. According to studies, people consume lower calories if they do have breakfast. It was discovered by a national US health and nutrition survey that women who have breakfast weight 4 kg or 9 pounds less than those who cut it; men weigh about 6 pounds or 2.7 kg less. Another 10 year study was carried out on 2400 adolescent girls that showed a lower BMI in girls who ate breakfast in comparison to those who skipped it. People who take eggs or meat or skip breakfast have higher BMIs as compared to those who have cereal in breakfast. Two fats that should be avoided are saturated and trans fat, especially the latter and they are plentiful in processed foods. People can cut out a lot of fat from their diet that they take unknowingly and boost their health if they prepare their own meals and cut down their intake of processed and fast foods. To have a beneficial impact, people should add more fruits, vegetables and whole grains into their diet. People can burn nearly hundred calories in a day if they avoid elevators and use stairs. Use the staircase, whether you are at the library or at work. Not only does taking the stairs burn calories, but people can also feel energized, especially if they have spent hours at any sedentary job like working at a desk. People can prevent obesity and stay fit by simply walking a few blocks daily. Americans have moved away from being physically active and doing manual labor for the past few years. Not much effort is required to improve your cardiovascular health and burn calories. Walk around every day even if it is only for 15 minutes. Take your lunch break to walk around the neighborhood or even in the office. Come up with any activities to do in your family and personal time and ensure that they are enjoyable. For instance, people can train together for a run or walk, rollerblade or bike or just go for a simple and brisk walk. At least half an hour daily should be devoted to cardiovascular exercises. An expensive gym membership or fancy exercise equipment is not necessary for this purpose. Some excellent exercises for weight loss include cycling, running, jogging and walking. Exercising at least three times on a weekly basis is recommended. Unless medically approved, people should avoid taking any quick-fix method of weight loss. Fat burning machines, weight loss powders and pills and fad diets all fall under this category. Serious side effects are associated with these techniques and they lead to weight gain again as soon as they are stopped. Not only are breastfed babies leaner than others, their chances of becoming obese in later years are also minimum. Moreover, the chances of a baby maintaining a healthy weight is higher when they breastfeed for long. This is because overeating is prevented through breastfeeding. The baby will stop naturally and will not nurse when they start feeling full. Hunger signals can be identified by the baby in this way and they can also regulate the amount they intake. This habit passes on into childhood. Instead of focusing on a weight goal, when parents stress on good health, children will automatically be encouraged to keep healthy eating behaviors and follow a physically active lifestyle. Positive and healthy attitudes should be modeled and taught towards physical activity and food, without stressing on the importance of body weight. Overweight children should not be set apart either and should be considered a part of the family. The whole family can be involved in changing their eating habits and becoming physically active. Ensure that the family eats together whenever possible and also set snack and meal times for the children on a daily basis. Keeping the Food Guide Pyramid for Young Children in mind, keep plenty of healthy food items available to them. Figure out when and what to offer at specific times but let the children decide how much they want to eat. Do not put restrictions on eating healthy foods and keep the family active to help overweight kids.